I'll be the first to admit that I have neglected my blog lately (I guess that's what happens when you're pregnant with baby #3 and all you want to do is take naps whenever possible...), but that is all going to stop because I have signed up for the #31Days blogging challenge, that encourages bloggers to write a post every day in the month of October. I always tell everyone that fall harvest gives me a lot of "thinking time" while I'm in the tractor and I always come up with lots of ideas. 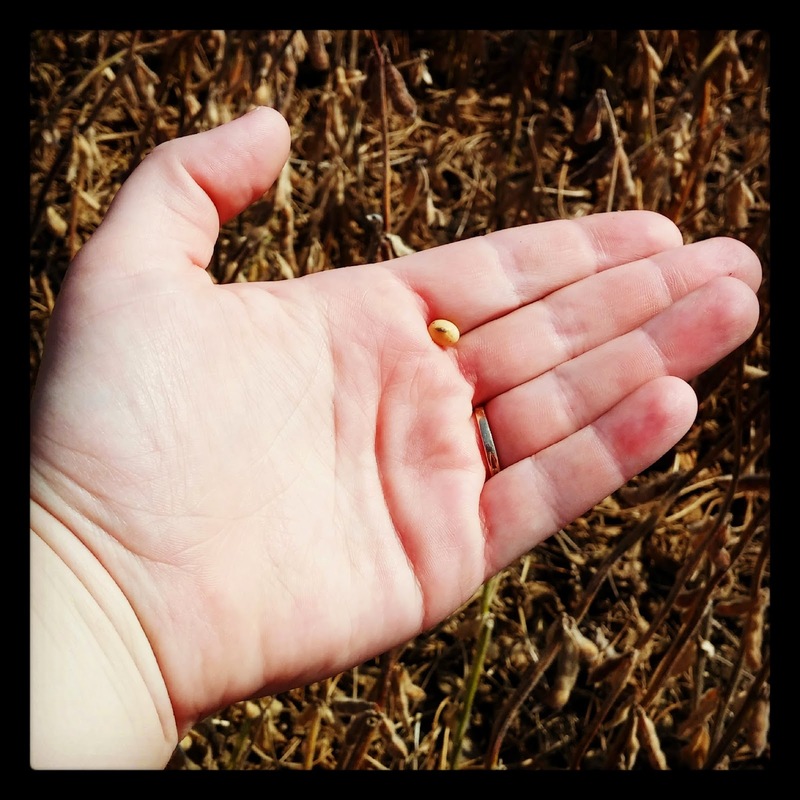 So this fall I'm challenging myself to actually act upon those ideas and share my thoughts with you all through this series about things like agriculture facts, harvest fundamentals, "tractor approved" recipes, and of course some fun photos from the field. And we might as well start by sharing a couple photos from harvest this week! 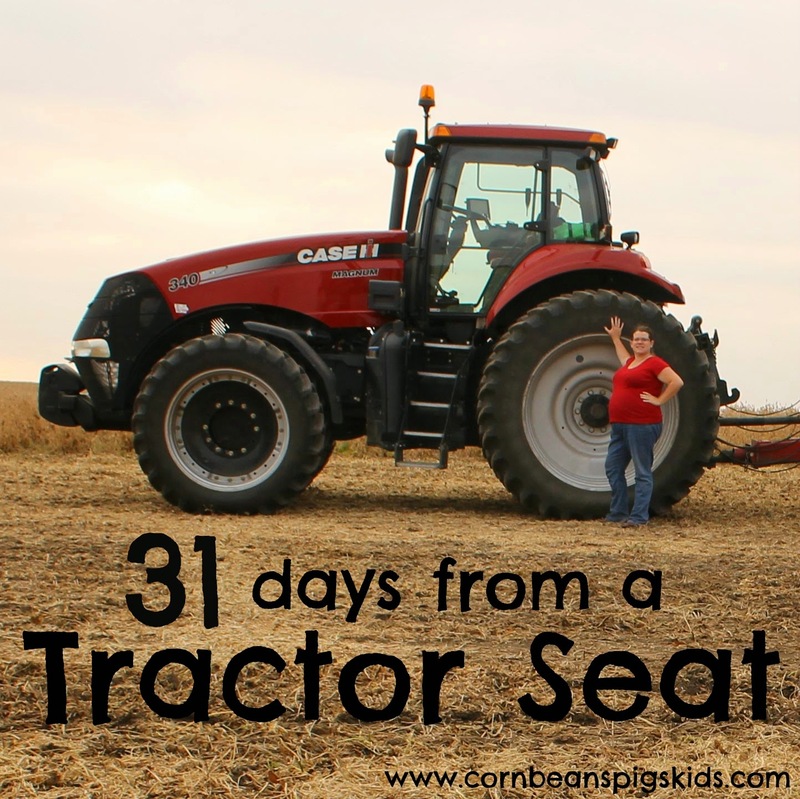 So what do you want to hear about during my "31 Days from a Tractor Seat"? Remember to Comment for a Cause! 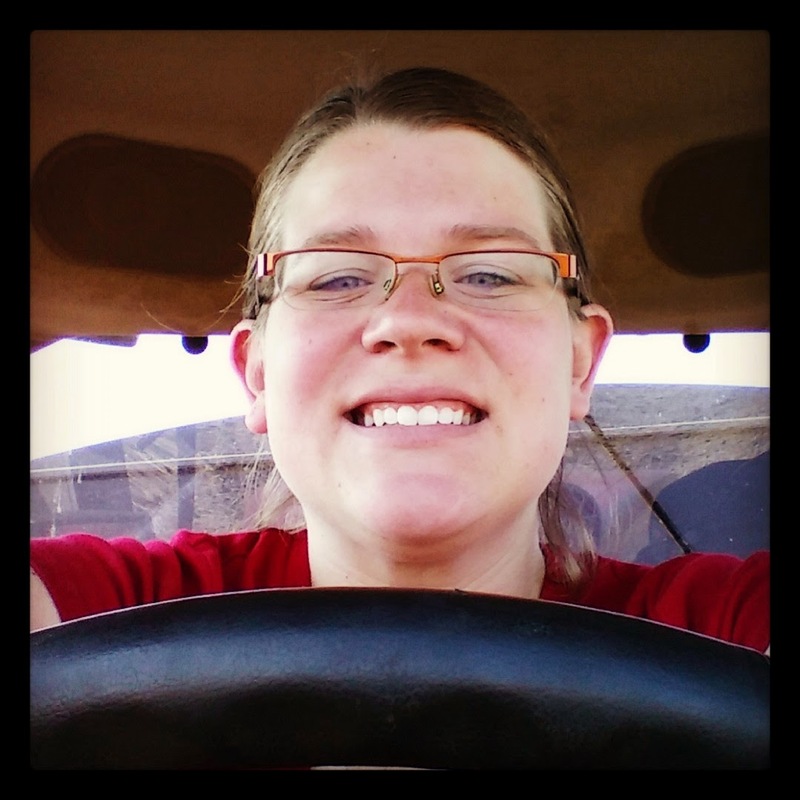 I want to hear all about the things that you see when you are in the tractor seat!!! I think it might be eye opening --not just fields and rows, right? I am excited to be on this 31 day journey with you! You go! Great idea Beth Ann! I have to admit that it really is usually just fields and rows but I'll have to make sure and document the other things like wildlife. Love it! My goal is once a month LOL! I will read your posts while harvesting here on the Eastern Shore of Maryland! My comment for the cause is Honor Flight. My son and I witnessed the arrival of an Honor Flight of WWII and Korean War vets at the Baltimore airport this past weekend. It was moving as the concourse was lined with active military there to greet them and a whole bunch of passengers like ourselves joining in. That is awesome to hear. There was an honor flight from Iowa that actually just went to DC yesterday. Lots of patience :) I usually only handle one kid at a time but yesterday I actually had both kids in the tractor with me for a few hours. Good idea Kellie! Thank you for joining the Country Fair Blog Party for October! Your post is a great addition to the party! Can't wait to read the rest of your posts from the tractor seat. Still take a nap or two when you get the chance. :) We are still a few weeks away from soybean harvest, but corn harvest is right around the corner. My favorite time of year! Thanks Laurie! I've been telling everyone even if it is raining to not count on me to go some place because if I'm not in the tractor I'm planning on being home taking it easy (and taking a nap...)! Thanks Donna! I'm happy to be a resource for you. I'm definitely interested in the tractor approved recipes because I can translate those into FSA truck approved recipes for the hubs! He gets the shaft during the busy season! Love the idea and post! 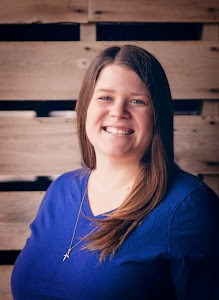 Saying hello from the Country Blog Hop! Thanks for swinging by from the Country Blog Hop! Be sure to keep stopping by all month long for more posts! Can't wait to read the rest of this series! 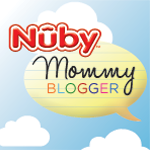 What a cool blog! Looking forward to reading more!